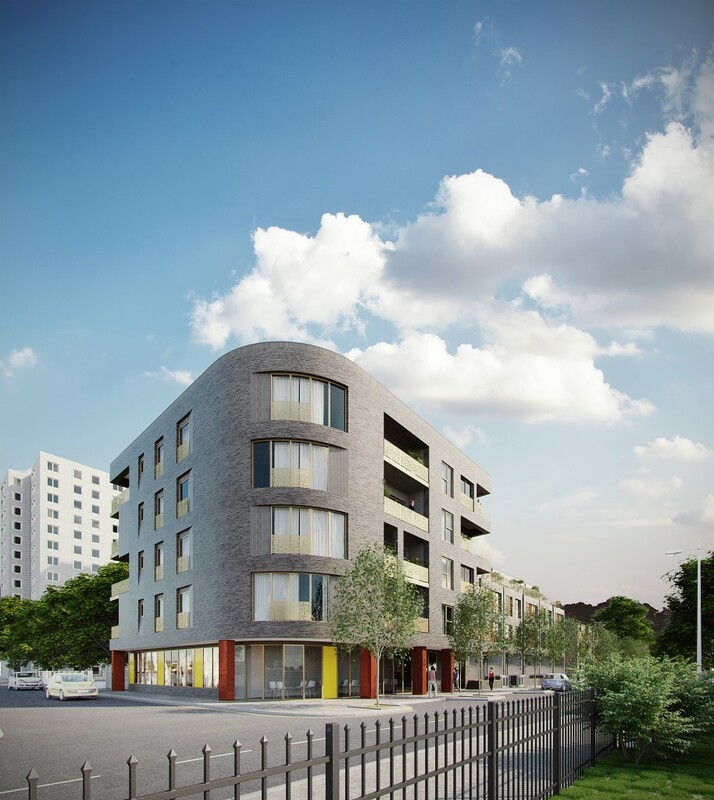 Following a design competition our winning design was selected by Thurrock Council to deliver an exemplar scheme that will create 29 new affordable homes. 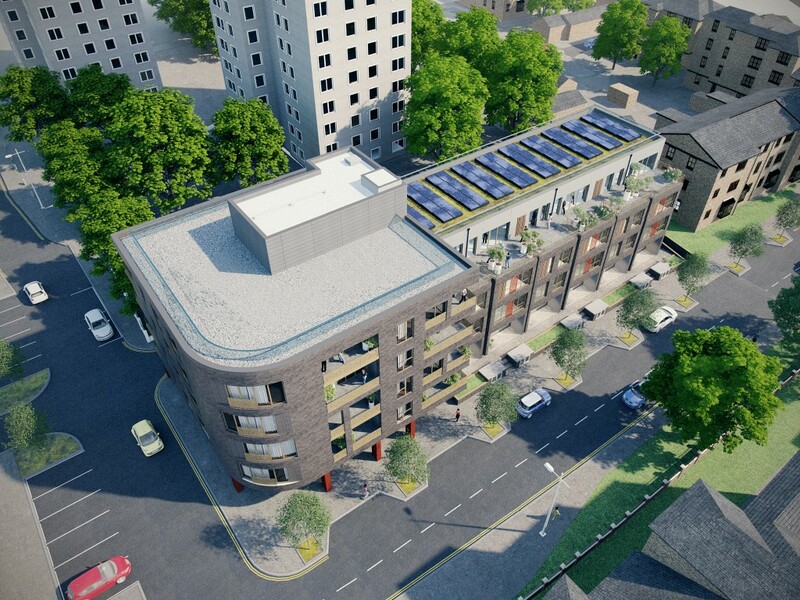 The design involves a in a development with an 5-storey tower with a mixture of 2 and 3 bedroom flats alongside 3 bedroom maisonettes, creating the opportunity for inter-generational occupation, whilst opening up at the front to create a generous communal garden. The site sensitively relocates an existing playground and enhances the local flora and fauna with carefully designed landscape that enriches a child’s experience of play. A tough brief for sustainability is achieved via a highly insulated and airtight building fabric, large areas of Photovoltaic cells on the roof, MVHR and grey water recycling. The dark London Stock brick is reminiscent of Dockland’s Victorian industrial structures and a nod to the rich napped flint texture of St Peters Church near to the site. Generous anodised aluminium balconies provide south facing views towards the River Thames whilst creating a sensitive accent for the river facing facade. The scheme is Thurrock Council’s first BIM level 2 project.